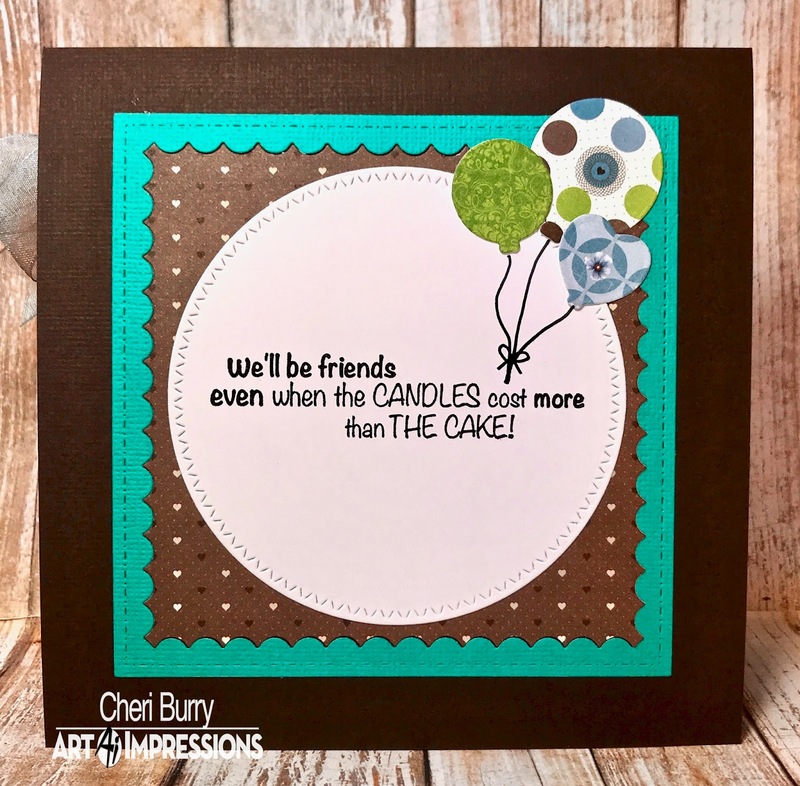 CheriB Designs: Time To Celebrate! 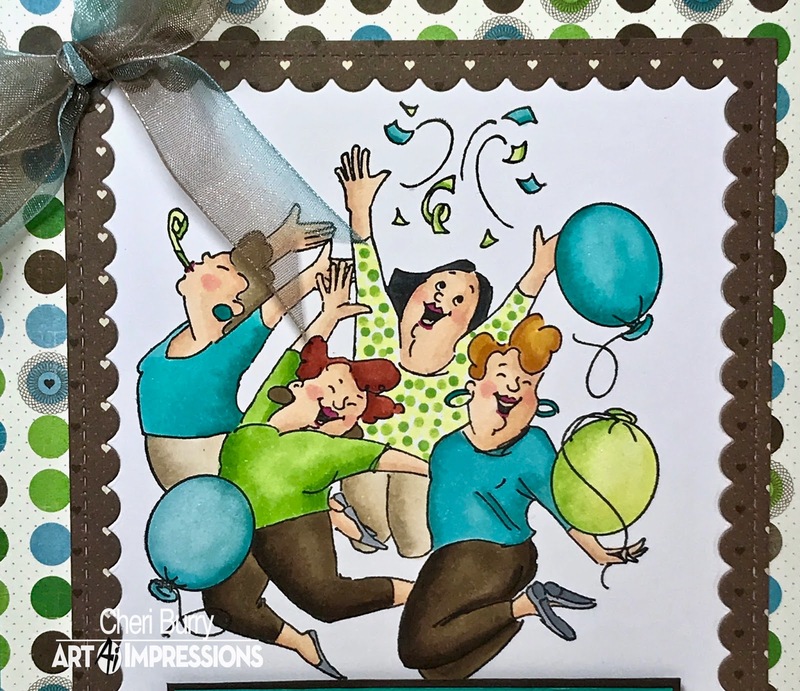 I've said it before and I'll say it again..... the "Girlfriends line" from Art Impressions are my favourite images to work with! They all just remind me of me and my friends and the sentiments make me giggle! 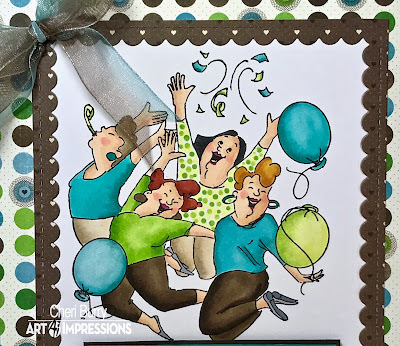 On my card today I am using the "Party Girls" set. 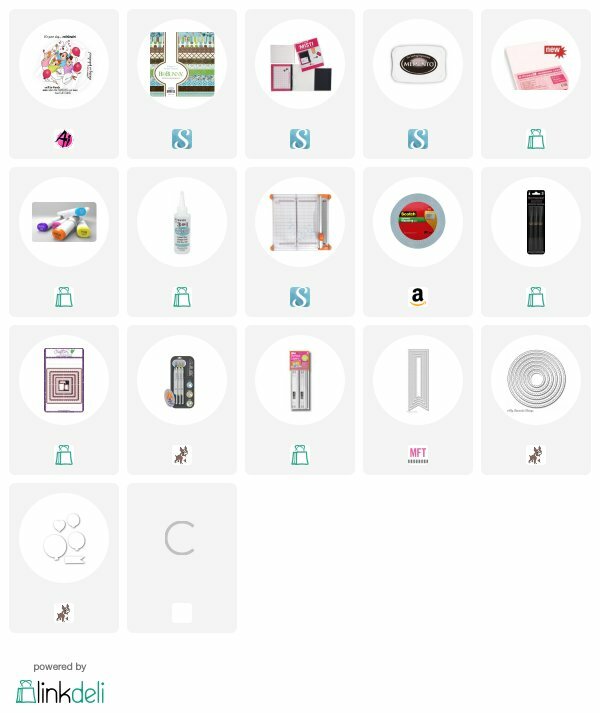 I chose paper from the Bo Bunny Penelope 6x6 collection. I love the blue, greens and brown colours in this collection. I am using a Pretty Pink Posh Die to frame my coloured image. I added some Spectrum Noir Glitter pen to the balloons for a bit of sparkle. A blue and brown ribbon bow finishes everything off! 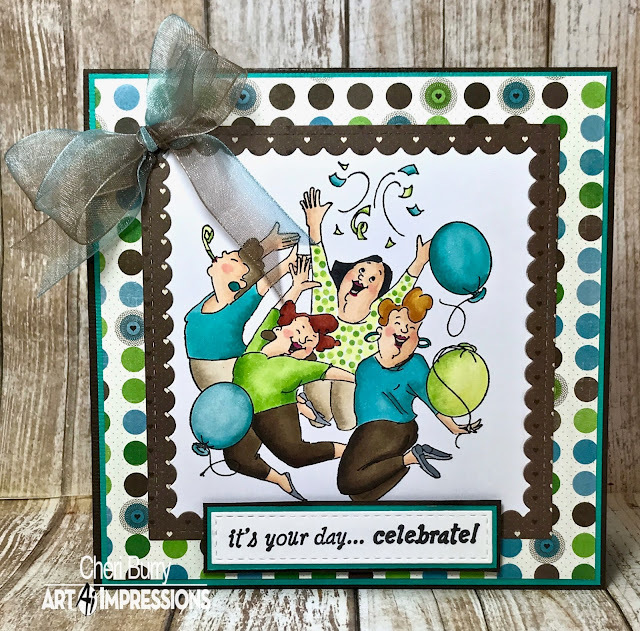 The "Party Girl" set some with 3 sentiments. I used one of them on the front and then this one on my decorated inside of my card.